Although State Police canceled an alert for a missing child Friday, local officials and the FBI continue to search for a missing child and his alleged abductor. The alert for a missing child in Spotsylvania County, Va. was canceled just after 5:30 p.m. by Virginia State Police. 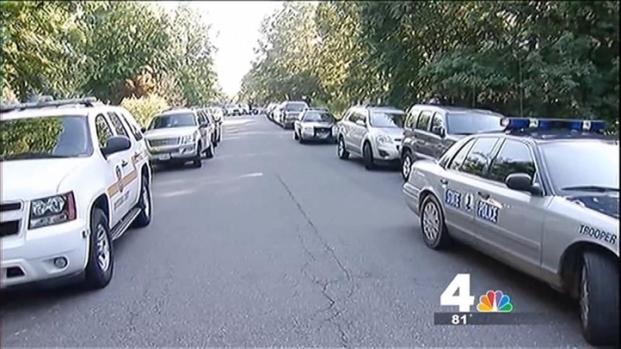 News4's Northern Virginia bureau reporter David Culver said local and federal officials confirmed the search for the victim and the suspect remains active. A witness told authorities that a man apparently grabbed a kicking, screaming boy off a bike and forced him into a van before taking off at a high rate of speed Thursday afternoon. The incident was reported near the intersection of Smith Station Road and Holleybrooke Drive. Police and federal agents are investigating a possible abduction in Spotsylvania. News4's David Culver reports. Earlier in the day, Capt. Jeff Pearce of the Spotsylvania County Sheriff's Office said it is unclear if a parent or if stranger may have abducted the child, but they are taking the case seriously. 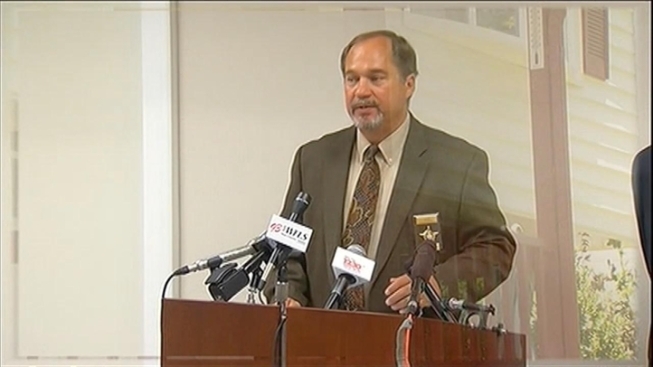 "We all realize that this is somewhat of an anomaly...." he said at a news conference Friday. "[W]e feel at this point... that we're going to err on the side of caution until we're able to put this to rest, whether the child is truly abducted, or if it was a parental custody issue or if it was simply someone rounding up a child that was misbehaving." Police and federal agents are investigating a possible abduction in Spotsylvania, News4's David Culver reports. The suspect was described as a 25- to 30-year-old white or Hispanic man, wearing black pants and a black tank top. Both items were covered in dirt and mud, as though he'd been working outside or in a ditch, Pearce said. The boy was described as about 12 or 13 years old, white, 5'1", weighing 70 to 80 pounds, with light brown hair. He was wearing a red-and-white striped shirt and blue cargo pants. "This may be somebody's child who doesn't realize their child is missing yet," Pearce said. The sheriff's office released a picture Friday of the black bicycle the boy was riding before the possible abduction. The witness saw the boy was hanging onto bike as the man was pulling him into the vehicle. The bike was left at the scene. Pearce described it as an approximately 20" knobby-tired bike with a banana seat, the type that children typically ride on dirt trails. The suspect vehicle is described as a medium blue full-sized work van with a white repair patch on the back right door. Both doors swing out. The left door has a dark-tinted window; the right door is solid with no window. 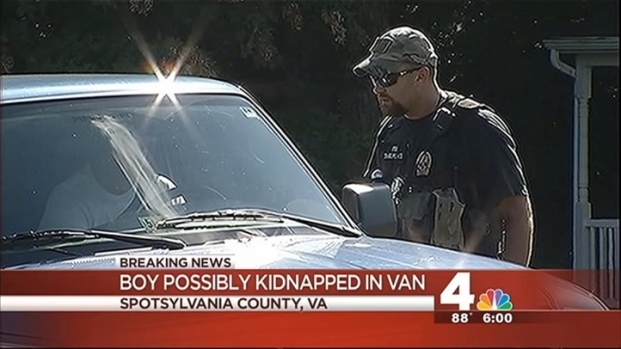 The van was last seen in the area of the Holleybrooke subdivision in Spotsylvania. Multiple neighbors told police they'd seen the van in the area several times over the past week. They also said they've seen both the child and his bicycle before. "The one thing we want to make very clear to the public, the description of this vehicle... is crucial in identifying the people involved," Pearce said. Sheriff's deputies, Virginia State Police and the FBI are assisting in the investigation, including stopping cars in the area to try to collect more information and spread the word of the possible abduction. Pearce said Friday that approximately 60 state, county and federal law enforcement officers are working on the case, in addition to emergency workers, troopers and helicopter crews, and a team of FBI special agents. A spokesperson for the FBI said Friday the case was "a high priority for the FBI." Pearce said authorities had no reason to doubt the credibility of the witness and have collected additional information from other neighbors. 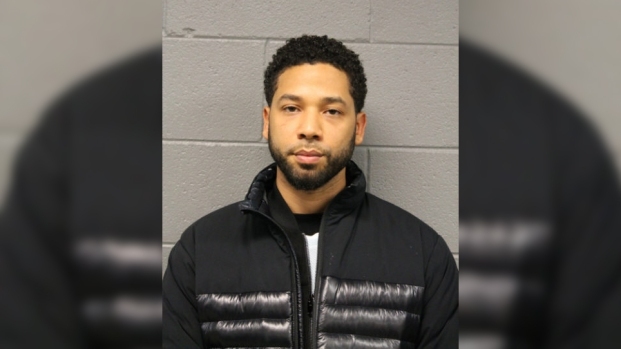 "We don't know at this point [what happened], but until we do we are going to treat this as if it were a criminal scene," he said Thursday. State Police have issued a endangered missing child alert in the incident. Call 911 if you see or have any information on the van. Stay with NBCWashington and News4 for the latest on this developing story.